Here are six principles I strive to live by. This is my own “personal productivity manifesto”: it summarizes what works for me about personal productivity. Whenever I follow these guidelines, I am at my very best, feeling productive and joyful. If I feel that I am doing things outside these guidelines, I know I can refer to them and quickly get back on track. No matter how capable or gifted we may be, it’s an illusion to think we can do it all. As my favorite productivity adage goes, we can do anything, but not everything. At every moment, we’re presented with infinite possibilities — we really could be doing anything! But freedom to do whatever we set our sights on comes at a price, and the price is that we need to constantly make choices about what really matters to us. These choices, at the most fundamental level, always boil down to how we allocate and spend our time. The value of our achievements is primarily determined by what we consistently invest our time in. We need to be aware of that every day, diligently investing the time in what matters and having the courage to let the unimportant stuff go. Use a time budget. In a time budget you define shares of time for the areas or goals you care about. It’s just like a money budget, but for time: it guarantees that you don’t overspend on things that don’t matter, so you can make the most out of the things that do. To learn more about setting up a time budget, check out Time Budget: An Easy Way to Avoid Prioritization Dilemmas and Keep Your Life Balanced. If the previous principle was about allocating time for the things that matter, this one is about how well you’re able to spend that time. Very often it seems we just can’t concentrate, even though we know what we should be doing, right? Resistance, procrastination, allowing ourselves to get sidetracked by distractions: these are formidable obstacles even for the most resolute people. Developing a strategy for overcoming resistance and dealing with distractions, then, is essential for maximum productivity. Use time boxing. Time boxing is a technique I use every day to overcome procrastination, conquer perfectionism and maximize overall efficiency. The concept is really simple: delimit blocks of time to work on tasks. But don’t let the simplicity of the concept deceive you: you really got to try it to see how effective it is in overcoming resistance, focusing your attention and actually doing what needs to get done. To learn more about time boxing, check out 15 Time Boxing Strategies to Get Things Done. Personal productivity is not about cramming as much stuff as we possibly can in our days. Here is a situation that sometimes happens to me, and I am sure it must have happened to you too: in a given day we write down a gazillion tasks to do, cross a lot of them off but, at the end of the day, still feel anxious about the tasks we didn’t do. Why is that? The feeling of being productive comes not from the quantity of tasks we do, but from honoring the commitments we set for ourselves. Doing what we said we would do is what we should primarily strive for. Tasks that keep being left undone in our to do lists are broken promises to ourselves, and are a sure recipe for frustration: no matter how much we do in our days, we’ll always look at them and feel bad about ourselves. Before trying to get more stuff done, make sure you honor your current promises (to yourself and to others): Be clear about them, drop those that you know you won’t be able to honor and then ensure that you really complete the ones that remain. Use will-do lists. ‘Will do’ lists replace a bunch of intentions (the traditional to do’s) with a small set of commitments. It’s not only much shorter than a to-do list, but also doesn’t grow as your day progresses — and you feel just terrific when you cross off 100% of it day after day. To learn more about ‘will do’ lists, check out Overwhelmed by Your To-Do List? Go With a ‘Will-Do’ List Instead. We need to strike a balance between work and play — between engagement and rest, between creation and recreation. In the productivity game we should take our leisure time as seriously as our work time. Even if we feel energetic and motivated to work long hours, the most effective long-term strategy is to hold ourselves back when feeling too enthusiastic and follow a sustainable pace instead. Also, defining clear boundaries between work and rest is very important: “Work when you’re working, rest when you’re resting”, I often say. Whenever I forget this, I end up in a very ineffective ‘not-quite-working/not-quite-resting’ zombie-like state. Will-do lists. As soon as I’m done with the will-do list for the day, I’m done: I must resist the urge to work longer. I admit that sometimes — especially when I’m feeling highly energetic — I still stretch and go “get the most out of the day”. However, I always regret it the day after, as I can’t sustain the pace for too long and end up much worse than if I had just stopped working at the right time instead. Time boxes. also help keep work activities together. That helps a lot in making the boundaries between work and recreation very clear. More important than setting big goals is to just keep going. I know this goes against most of the “set bold goals for yourself” advice you see everywhere, but it’s what works for me. Going after a “big vision” is something that always felt awkward, and it always made me more anxious than it helped. Now, what does work for me is to constantly think about how to improve my life and define little steps to make it happen. Think continuous improvement. Take small steps and see how things change. Experiment. Sure, it’s perfectly fine to have a general direction, but don’t get too obsessed about it: circumstances will change — you will change. It’s in each step that you learn and adjust your direction. Daily and Weekly Reviews. Assess your projects and tasks every day and make sure that you define next steps for all your projects. Make them small, but ensure you make progress every single day. Forget New Year’s Resolutions. Plan, review and adjust your steps every day and every week. Ask “How can I take a step so small that it is impossible to fail?” This is one of my favorite questions ever (I got it from the book One Small Step Can Change Your Life — summary here). I ask it every single day when reviewing my projects and task lists. It melts resistance away and, when asked frequently, keeps you on track and energetic to keep going. Principle 1: Feel Good. Now. “Being productive” only makes sense if you’re enjoying yourself as you work on the stuff that’s relevant. If you’re not, none of the things we discussed here really matters. Personal productivity is a state of mind: a feeling that you’re doing what you believe is important and that you’re happy about it — not that you’re making sacrifices day in, day out. For me, a good rule of thumb is that we should feel tired at the end of the day. Yes, tired, but in a good way: that’s very different from feeling spent or drained: it’s feeling that we poured our energy into the stuff we care the most. The feeling that our energy was put to good use. Going to sleep looking forward to the next day is, in my opinion, the ultimate measure of personal productivity. 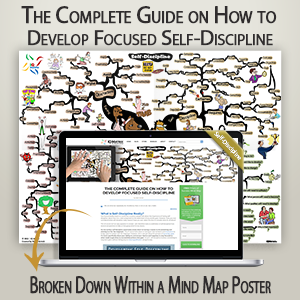 Take a one-minute self-assessment at the end of the day. How was your day? Did you invest your time and energy doing what really matters? Forget for a minute about your goals, focus on your journey. After all, if you’re only making sacrifices and not enjoying your days, what’s the point of being productive? What do you think of these principles? Anything missing? 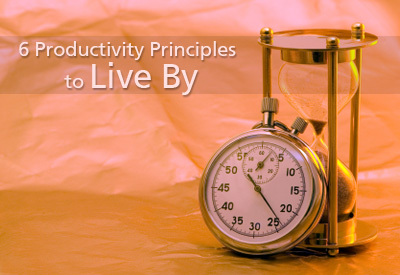 Do you have your own productivity principles? Please share in the comments! I’m eager to know about what works for you! Overwhelmed by Your To-Do List? Go With a ‘Will-Do’ List Instead.